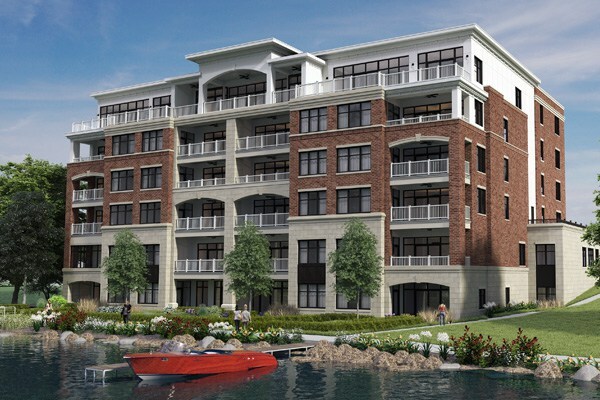 Eagles Landing, a luxury condo development in the Lake Country region of Waukesha County, offers a unique, limited opportunity for those who seek the serenity and distinction of lakefront living. More than a luxury residence, this is a carefree lifestyle of unparalleled grandeur. From the breathtaking views outside to the custom and spacious eloquence inside, numerous aspects define Eagles Landing and set it apart from any condominium you may have encountered. The view is everything. Majestic sunsets perform nightly for your enjoyment, whether seen outside your window or from the front row seats of your private balcony. Perhaps you’ll glimpse the soaring bald eagle that frequents picturesque Lac La Belle, one of two stunning lakes at the heart of the City of Oconomowoc, Wisconsin.